Following ordination, Abbot Gregory pursued a master’s degree in classical languages from the University of Washington. He also holds a master’s degree in formative spirituality from Duquesne University. His community owns Mount Angel Seminary, the oldest seminary on the West Coast. Most of his ministry has focused on formation, from being novice master to serving as formation director at the high school, college and theology levels. At the same time, he has acted as a spiritual director, sometimes working with as many as 30 individuals at a time. 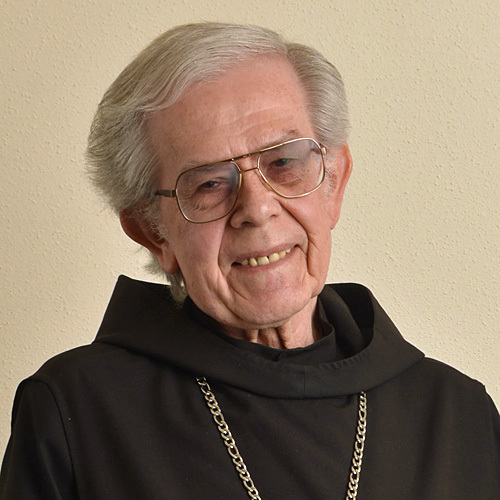 After serving as prior for two years, he was elected abbot in 2009. He retired from this role in 2016 due to issues of age and eyesight. Retirement came at the same time as a diagnosis of cancer, which has been in remission since treatment. Over time, Abbot Gregory has been able to regain his strength and return to teaching and formation. Today, he is pleased to again be active in spiritual direction, something he had to curtail during his tenure as abbot.